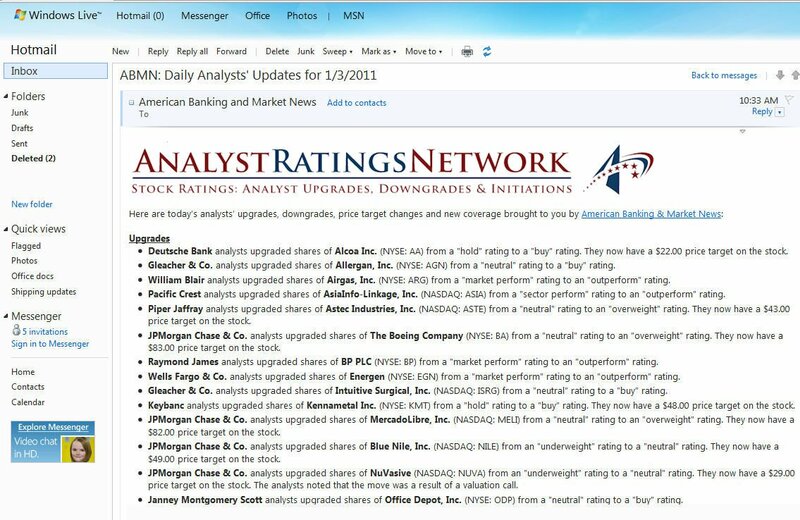 American Banking & Market News is now offering a daily email newsletter that provides a concise list of analysts’ upgrades and downgrades for each day. If you would like to receive American Banking & Market News’ daily email newsletter, you may do so doing the form below. 30,100 Shares in Mercadolibre Inc (MELI) Purchased by JGP Global Gestao de Recursos Ltda. 6,683 Shares in Cummins Inc. (CMI) Purchased by Northwest Bancshares Inc.
Juniper Networks, Inc. (JNPR) Shares Sold by Northwest Bancshares Inc.
iShares PHLX Semiconductor ETF (SOXX) Shares Sold by Oppenheimer & Co. Inc.
KLA-Tencor Corp (KLAC) Shares Bought by Northwest Bancshares Inc.
SAP SE (SAP) Shares Bought by Northwest Bancshares Inc.